tupac – Iggy Azalea Flames! Iggy talk’s about her first date with NICK! LOOK! – Nick Put a RING on It! Azalea posted a photo on Instagram of her hand graced with a diamond ring. Young wrote, “She said yes. It’s over man. I’m getting married!” when he posted a photo of the couple kissing. NEW YORK (AP) – Iggy Azalea recently canceled her fall tour, so she has time to plan for a big moment in her life: her wedding. 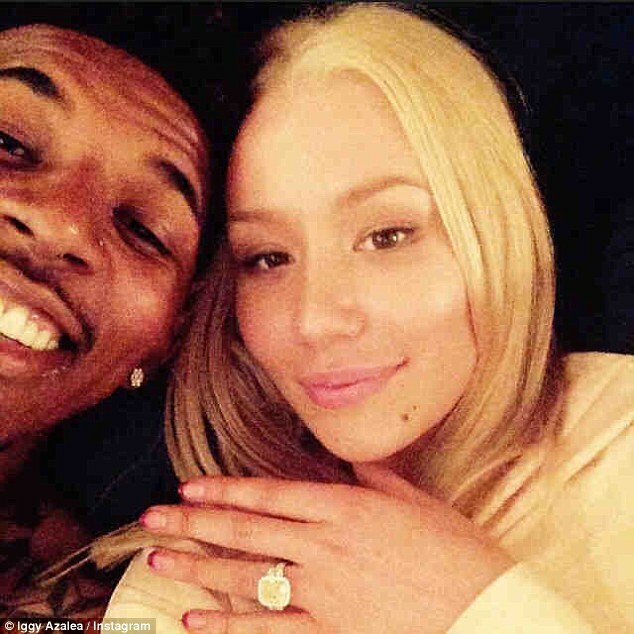 Nick Young of the Los Angeles Lakers proposed to the rapper late Monday as they celebrated Young’s 30th birthday. A short video of Azalea saying yes as Young proposed on bended knee was posted on the blog site Karen Civil. The site confirmed its authenticity via email. Rapper Iggy Azalea, Canadian rock icons The Tragically Hip and veteran hard rockers Deep Purple are some of the big name acts headlining the 2015 RBC Bluesfest, which runs from July 9 to 19. DAMN! Iggy did not win the Grammy for best rap album. Eminem did. She wore an Armani Prive dress made for her in her choice of colors: royal blue. 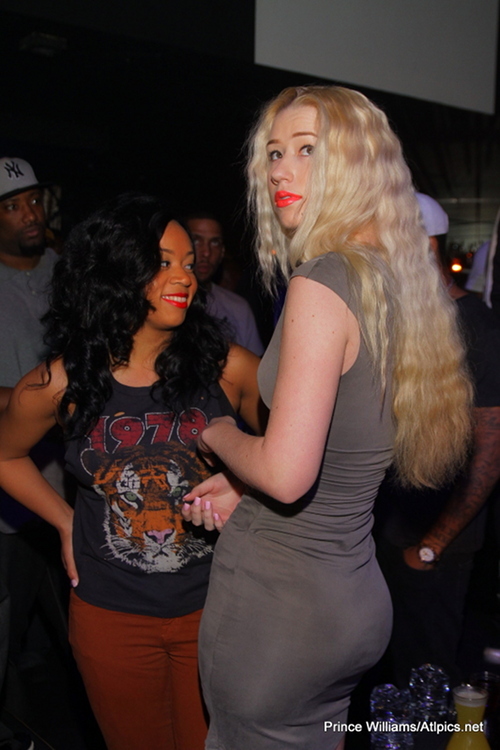 After the entire Internet offered think pieces about what it would mean if the white, Australian rapper Iggy Azalea took home the award for best rap album for last year’s “The New Classic,” she quietly lost the honor while other stars were still preening on the red carpet. Instead, the award went to another white rapper, Eminem, for his “The Marshall Mathers LP2.” Eminem, strangely, hasn’t stirred up quite the same amount of rage, and it may well be because he predates the think piece. After losing the best rap album award, Iggy Azalea turns her attention to the best new artist category..
Read more More Iggy News! Charli XCX shows up wearing a Moschino white tuxedo with a pink bowtie. “Uh, you really stepped out of the box tonight,” says an almost speechless Giuliana. “I wanted to do something ’80s and fabulous,” Charli explains. The red carpet kickED off as usual — E! co-hosts Ryan Seacrest and Giuliana Rancic kill time before the big names show up by listing everything they’re wearing. Ryan Seacrest is wearing is own clothing line, naturally.